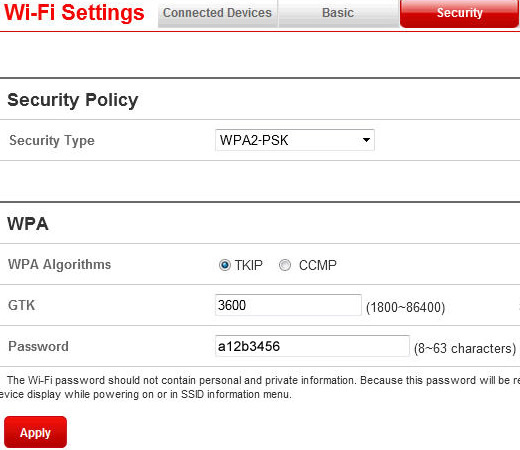 From the Wi-FI Settings tabs, click Basic. Click the MAX Station Number drop down menu. Select the desired number of connected devices (1-10 connections). From the Security tab, select the appropriate security settings then click Apply.